How to Apply for a U.S Passport or Visa in Kansas? How to Apply for a U.S Passport or Visa in Kansas? Globe Trooper > North America > United States > How to Apply for a U.S Passport or Visa in Kansas? Do you plan to travel outside of the U.S. for pleasure or business? Before you take off, you’ll need to get a passport. Most of the time, traveling outside of the United States requires a valid passport. A lot of people put off getting a passport until the last minute. However, applying for a passport is easy and quick. Below we have put together a guide for how to apply for a U.S Passport or Visa in Kansas. Fill out form DS-11 for each person in your family that needs a new passport. Complete all of the forms and print. However, DO NOT SIGN form DS-11 yet. Form DS-11 must be signed in front of a witness at the passport acceptance facility where you apply. Gather the required documents – You must provide proof of United States citizenship, identity, and a recent passport photo. Children under the age of 16 must apply in person using the form DS-11. You will need to proof of citizenship for your child, their social security number, documentation that shows parental relationship (U.S. birth certificate, for example), a photocopy of parents’ ID, proof of consent from both parents ( or a divorce decree or court order awarding full sole and legal custody to the applying parent) and a passport photo for the child. Next, you must calculate your fees. These depend on many factors. Here are the latest prices. After you have completed form DS-11 and have the proper documentation, you should go to a Kansas passport office to apply in-person. You must provide one passport photo with your application. Most passport acceptance facilities offer passport photos, which can save you time. If you’d like, you can also get passport photos at most Walgreens and CVS. If you want to save money, consider creating your passport own photos. They must adhere to the requirements. How can I get my passport quickly in Kansas? Standard passport service typically takes between four to six weeks, not including mailing time. 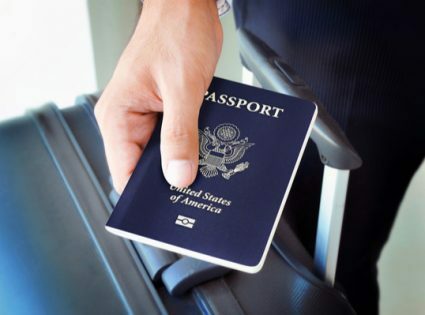 If you need your passport sooner than that, you will need to apply for expedited passport service at a passport agency. The passport center or agency will help you get expedited passport service. With expedited service, you can expect your passport to arrive within two to three weeks. Where can I renew my passport in Kansas? You can renew your passport by mail. You’ll need to complete Form DS-82. Check out this page to see if you are eligible for a renewal by mail. If you plan to travel within the next three weeks, you should visit a passport facility in person to renew your passport.